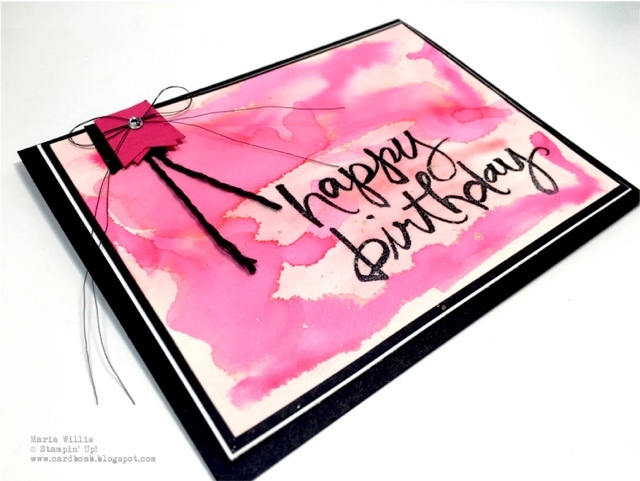 Cardbomb: Ultimate Pink Blog Hop! 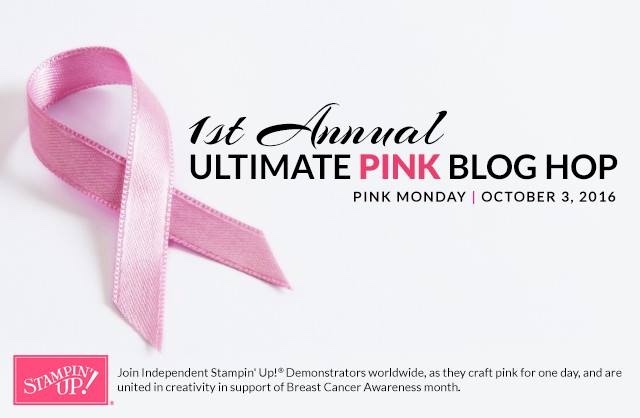 Hello and welcome to the First Annual Ultimate Pink Blog Hop! This year a huge group of Stampin' Up! Demonstrators from all over the world are coming together to color the internet, Facebook, Pinterest... everything Pink in honor of Breast Cancer Awareness month. If this is your first time visiting my blog-Welcome! 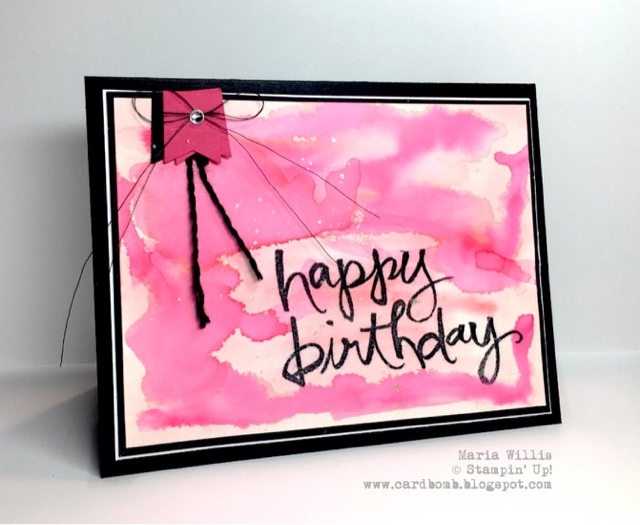 My name is Maria Willis and I am a Stampin' Up! Demonstrator from California, USA. I'm so glad you've stopped by my blog today. I hope you'll take the time to see all of the amazing projects that we have created to share with you today (full list of participants below). Without further adieu... here is my project. I decided to make a Happy Birthday card with a watercolor background. I kept it simple using only two colors of pink-Melon Mambo and Flirty Flamingo- and Basic Black so that my design would pop. I watercolored on shimmery white paper and wanted to add a little more shine to my card so I splattered the background with Clear Wink of Stella. I also added a Silver Metallic enamel dot and Metallic Black Thread to top it all off. Thank you so much for stopping by my blog today and I hope you'll come back soon! Please keep on hopping along to see all of the amazing projects from around the world that we have to share with you today. The list of all participants is below and all you have to do is click on the name after mine. Enjoy and have a wonderful day! And POP it did... your card is beautiful! Love pink and black together. Pretty card!!! Thank you for sharing and hopping along with us. Wishing you Warmth & Cheer!